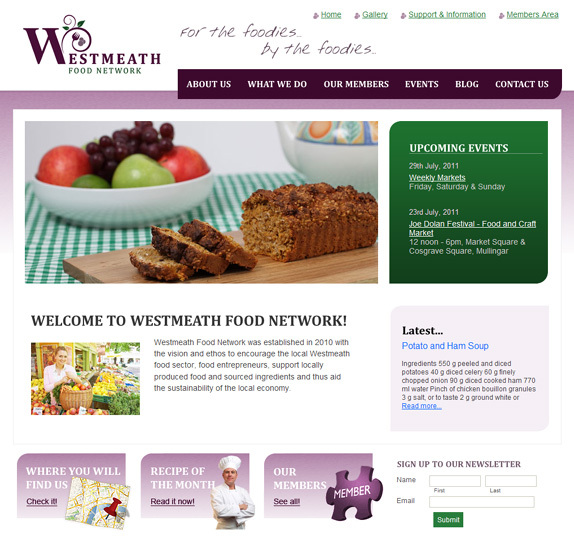 For all you foodies out there Westmeath Food Network’s new website is definitely a must visit site for you. The network was established in early 2010 to develop the food sector in the county and is made up of a collection of like minded food producers from the local Westmeath area. The site is full of information on each of the members, from the food they produce to where you can purchase their mouth-watering produce, it also has a great blog with delicious recipies and news on upcoming events. Save this site to your favourites as we are sure it will keep you coming back for more!